Good morning. It's Tuesday, Nov. 6. 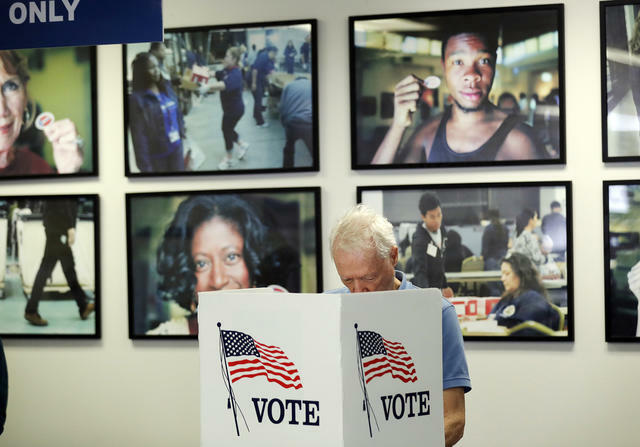 • Californians make their voices heard on Election Day. 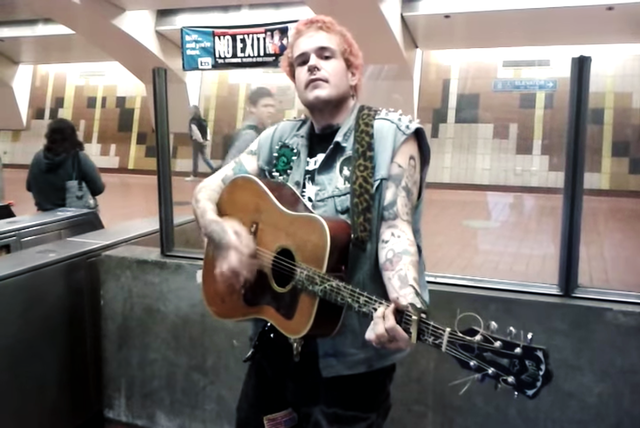 • Remembering the BART busker "punk rock Johnny Cash." 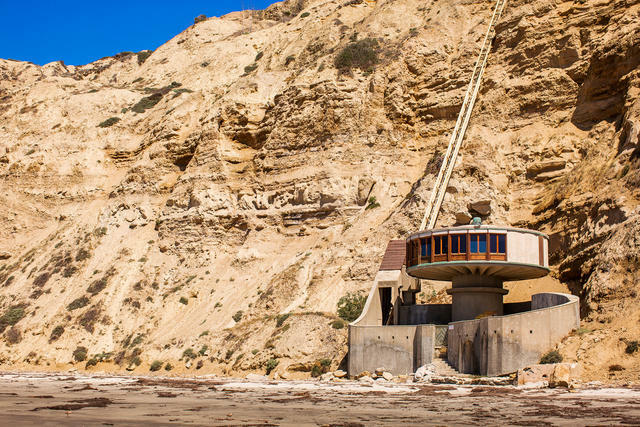 • And a wild mushroom-shaped house on the San Diego coast. An early voter in Los Angeles County last month. Happy Election Day! Californians will make their voices heard on the state's next governor, a raft of ballot propositions, and a potential shake-up of Congress, among other contests. • For many Californians, President Trump loomed over their voting decisions. A retiree wiped away tears as he talked about the state of the country, calling it "an accumulation of tragedy." A.P. • Polling places will be open from 7 a.m. to 8 p.m. Find yours. • Not sure about your voter status? Check here. If you're not registered, don't despair. You can still vote conditionally. Last year, roughly 130,000 more residents left California than arrived here from other states. But California is gaining residents from one notable demographic: people with advanced degrees. About 9,000 more people with graduate degrees came to California than left for other states. Adults without a college degree, however, left California in droves. 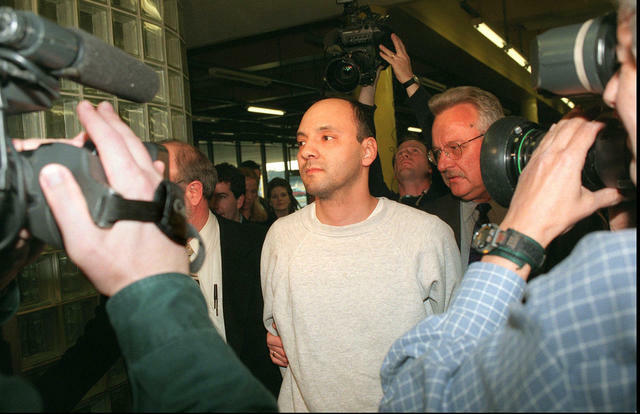 Andrew Urdiales, a former Camp Pendleton Marine, was arrested in Illinois in 1997. Chicago Sun-Times, Dom Najolia, via A.P. Two multiple murderers awaiting execution at San Quentin Prison died in suspected suicides within a day of each other, officials said. Andrew Urdiales, a serial killer of women who terrorized Southern California in the 1980s and '90s, was found unresponsive in his cell late Friday. Virendra Govin, who was convicted of four Los Angeles County murders, was found dead in a separate cell. Officials said the deaths didn't seem to be related. A judge moved to order an investigation of a whistleblower's report alleging "a broken system" of psychiatric care inside California’s prisons. Incidents recounted in the report are stomach-churning. At a women's prison in Chino, a psychotic inmate was not given medication for four hours as she had screaming fits. She eventually gouged out her own eye and ate it. A N.Y. Times reporter went to Yosemite to witness new life sprouting after the devastating Ferguson fire. A photographer and videographer captured amazing photos and 360 panoramas. 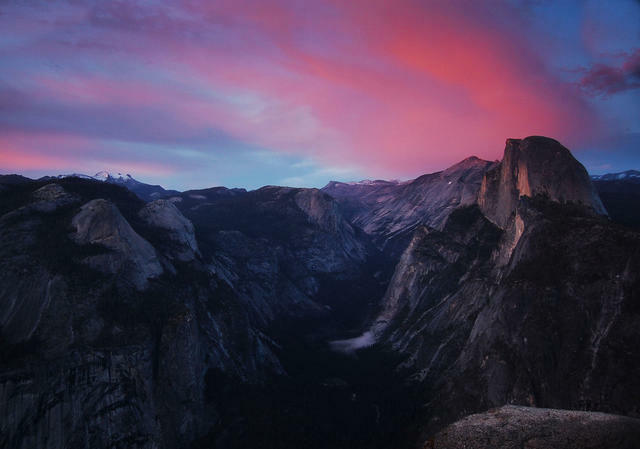 "In the face of this holy beauty," the reporter wrote, "your jadedness falls away. You look and look, and look some more. You find you cannot look enough." Water flowed over the emergency spillway at Lake Oroville on Feb. 10, 2017. Josh F.W. Cook/Office of Assemblyman Brian Dahle via A.P. 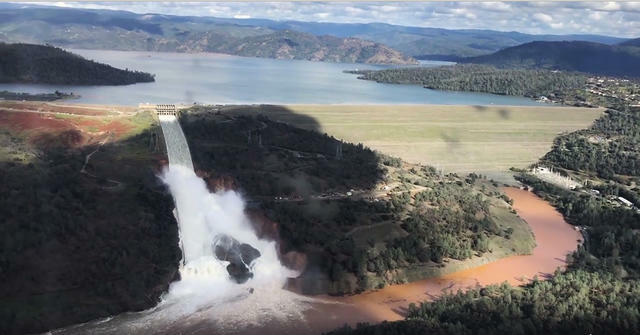 Crews worked virtually nonstop to repair the spillways at the Oroville Dam after its near catastrophic failure two years ago. Last week, state water officials said they were scheduled to wrap up in time for the rainy season. The cost? A staggering $1.1 billion — far more than the initial estimate of $275 million. Federal regulators remain concerned about the dam’s ability to weather a major flood. The world's largest "co-living" apartment building is coming to downtown San Jose. The 800-unit building will have perks like cleaning services and dog walking, but with a catch. Each resident will share a kitchen and living room with at least a dozen other strangers. It's a lifestyle with growing appeal in the high-cost city. "Paying 70 percent of your income is not enjoyable," the developer said. An investigation by Reveal found a culture of steering people away from medical care at Tesla’s Fremont assembly plant. When a worker gets smashed by a car part, for example, medical staff are forbidden from calling 911 without permission. "The goal of the clinic was to keep as many patients off of the books as possible," a former worker said. Jesse Morris performed at BART's 24th St. Mission Station. Jesse Morris used to be one of the BART system's most recognizable buskers. Known as the "punk rock Johnny Cash," his baritone was eerily similar to the country singer. Morris died on this day in 2011. He was 28. It was a suicide. "Jesse was glorious," his aunt wrote at the time. "Absolutely glorious." Here he is in one of his most widely shared videos, singing "Sunday Morning Coming Down." There are hundreds of trees in Sacramento's Capitol Park. 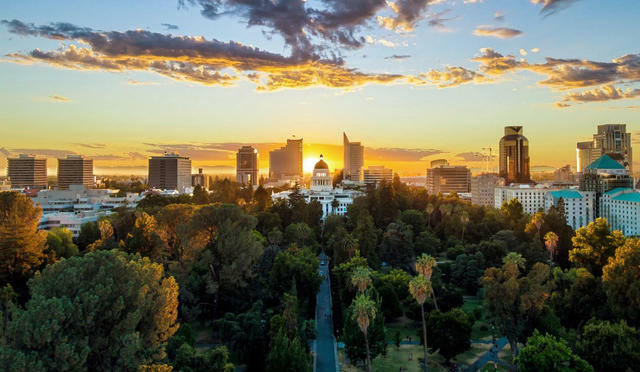 Sacramento's Capitol Park is among the prettiest state capitol grounds in the country. Filled with hundreds of species of trees and plant from nearly every part of the world, it also has memorials, a trout pond, and a fragrant rose garden popular with couples. Hundreds have been married there. The Trump administration has responded to an approaching caravan of migrants by sending a military deployment to the southwest border. What happened to the last migrant caravan? Not much. More than 90 percent of the members who requested asylum passed interviews designed to determine if they had credible fears. Most are still waiting for their immigration cases to be decided. Los Angeles schools chief Austin Beutner is working to radically reshape the nation’s second-largest school district. His plan would divide the system into 32 "networks," moving authority and resources out of the central office and into neighborhoods. Critics were skeptical. “If you end up reorganizing for the sake of reorganizing, you can cause a lot of chaos," one said. 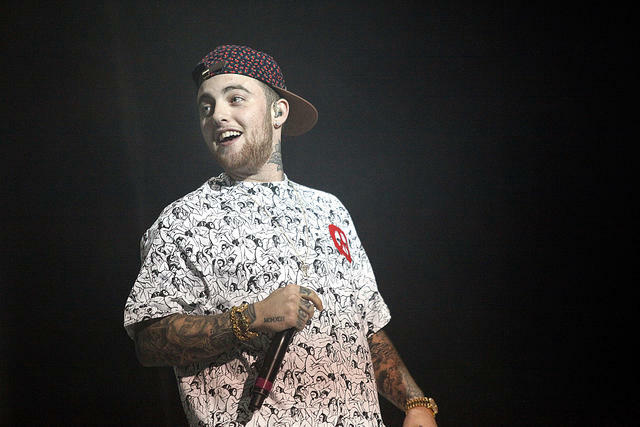 Mac Miller performed in Camden, New Jersey in 2012. Mac Miller, the popular rapper who was found dead in his Studio City home in September, suffered an accidental overdose of fentanyl, cocaine, and alcohol, the Los Angeles County coroner said. Miller, 26, had pushed back against concerns over his drug use. "Have I done drugs? Yeah," he once said. "But am I a drug addict? No." The so-called mushroom house was designed by the architect Dale Naegle to withstand the forces of nature. The so-called Wisdom Tree has become a popular hiking destination. 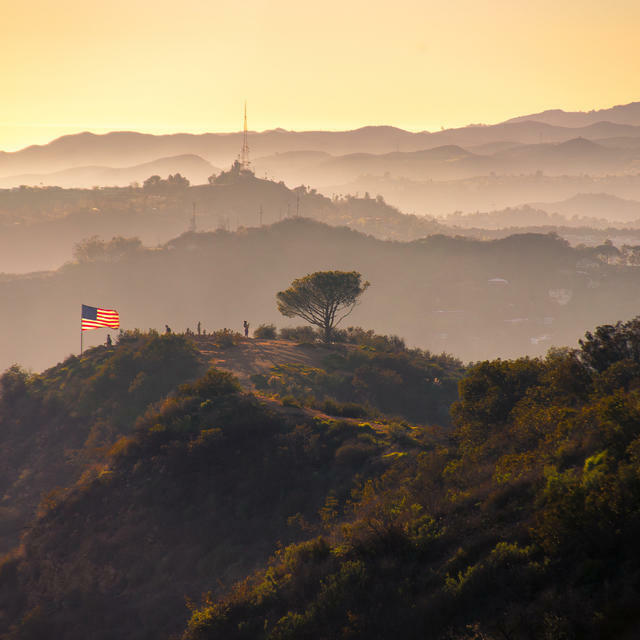 There's a broccoli-shaped pine tree atop a ridge in Griffith Park where visitors have left messages in a green ammo box — "I am longing for romance," "Life is good, pass it on," "Smoke blunts." Known as the Wisdom Tree, it became a symbol of endurance after surviving a 2007 fire. Now it's a selfie destination, with a big perk: One of the best views of Los Angeles.